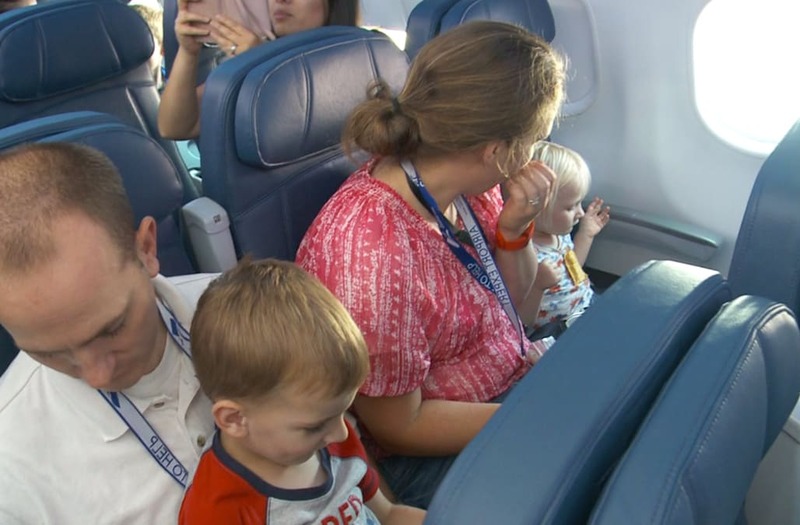 SALT LAKE CITY (KSTU) – Some folks get anxiety when boarding a plane, but it can be even worse for those living on the autism spectrum. Twenty-five families who have children on the autism spectrum were treated to a “flight rehearsal” at Salt Lake City International Airport thanks to a group called, “Families for Autism and Asperger’s Standing Together” or F.A.A.S.T. “Kids with autism often fear the unknown and have a lot of anxiety about areas that are very hectic or busy like an airport would be,” said James Vaughn, president and co-founder of F.A.A.S.T. Families who have children on the autism spectrum were treated to a “flight rehearsal” on Thursday to help ease the anxiety of flying. This is the sixth year Vaughn has worked with the airport and Delta Airlines to lift the dry-run off the ground. “They go through the ticketing process, through the TSA process and security, that can be troublesome enough for an individual," Vaughn said. With boarding passes in hand, the passengers embark on their journey. It’s a chance to experience every aspect of a travel encounter. “It’s all about familiarity. When they come across a situation where they don’t understand or they’ve never seen them before, it can be pretty unnerving for them,” said Jonathon Skarda, a parent. His wife Karen says the training is so helpful. “It’s good that they can see what’s there and then they don’t necessarily need to explore as much the next time as well," she said. The event also gives staff an opportunity to learn how they can better accommodate people on the autism spectrum. “So, for moms and dads and caregivers that are supporting these kids, it provides them with an opportunity as well to know that their child or their loved one can get on a flight and not have the anxiety that they otherwise might have," Vaughn said. If you’re interested in signing up for next year’s flight, which fills up quick, click here to contact F.A.A.S.T.